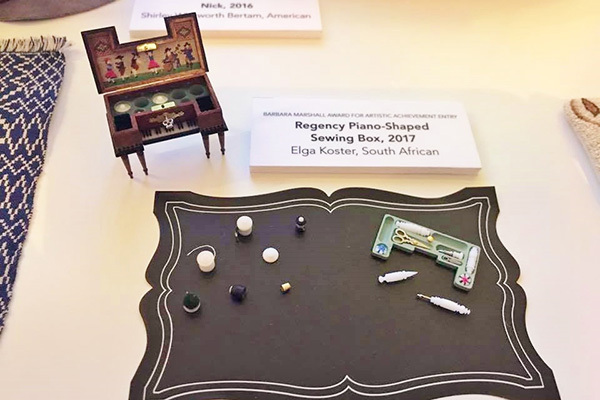 After nearly two years of preparation, Miniature Masterworks took place at the The National Museum of Toys and Miniatures in Kansas City on September 15 -17, 2017. 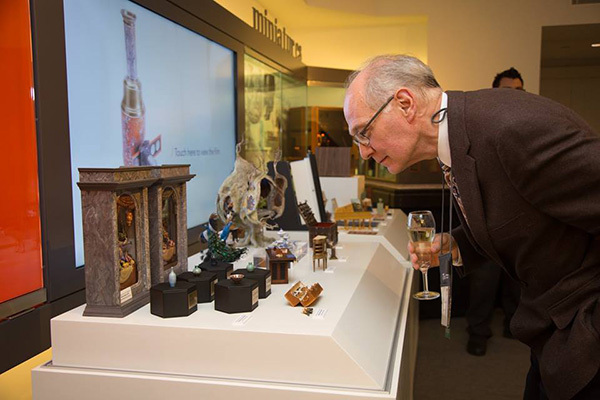 The Guild partnered with the museum to present this unique juried showcase and sale of fine miniatures. 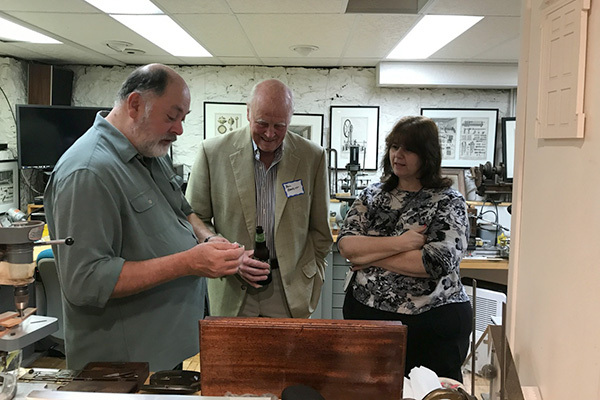 Collectors from around the world were in attendance, as well as many members of the public from the Kansas City area. The Artist and Patron Party tickets for the Friday night preview sold out almost immediately, and an additional 70 Preview tickets sold as well. 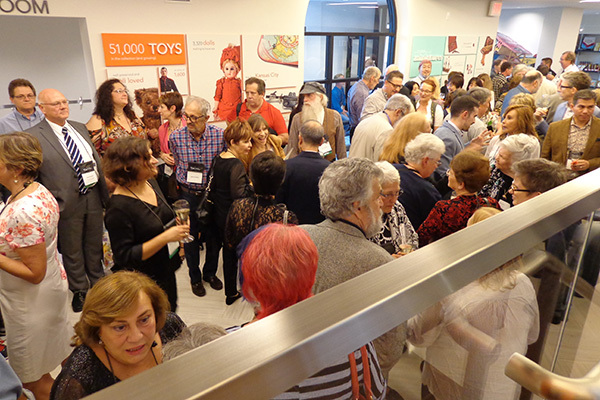 The preview remained crowded and busy until the doors closed at 9 PM. The show was also very well attended on Saturday and Sunday. Total attendance for the weekend was approximately one thousand people. 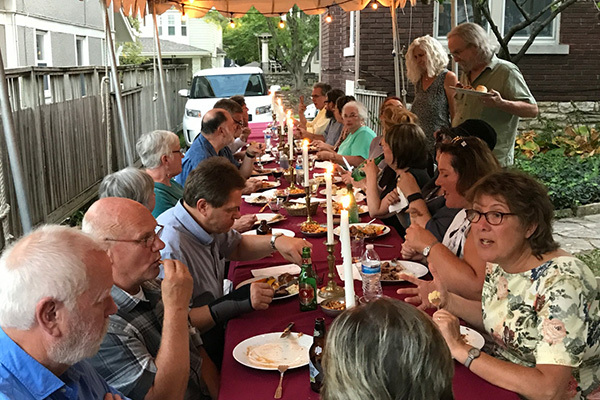 Something noticeable was the number of younger attendees - “thirty somethings” and their families - who told us they were working on a miniatures project. 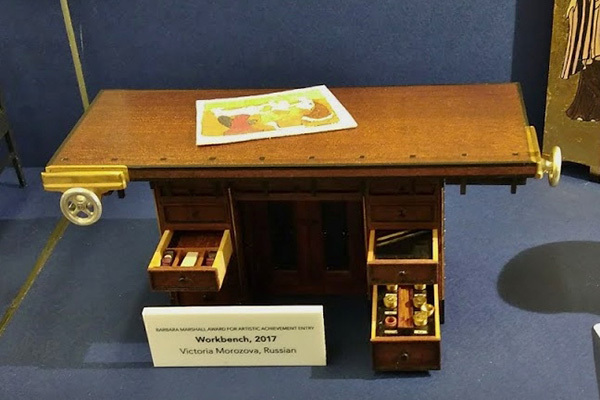 One young man of twelve or so said his birthday present was four hours at the show, and that he was working on his first dollhouse. 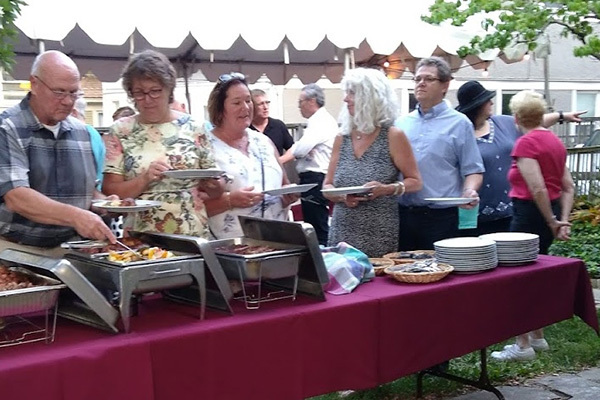 Because the event was not held in a hotel, we needed to provide an easy way for artists and attendees to get from various hotels to the show, dinner, social events and so forth. A van and friendly driver were on call during show hours to carry guests to their destinations free of charge. 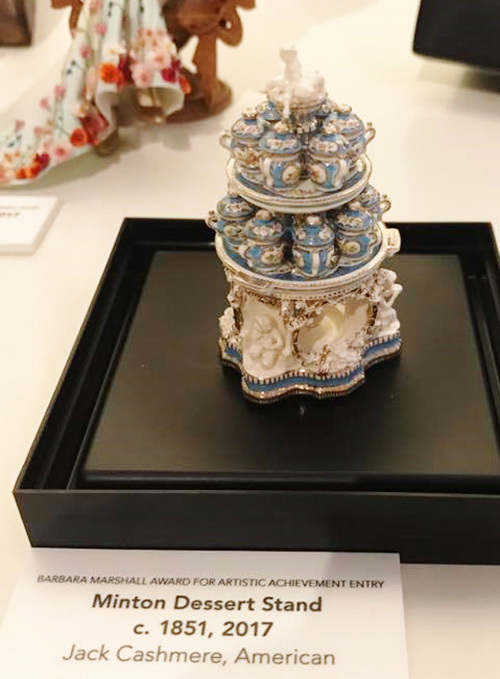 There was a great deal of excitement about the Barbara Marshall Award for Artistic achievement. As you know, the museum sponsored the contest and provided the cash prizes of $15,000, $10,000 and $5,000. 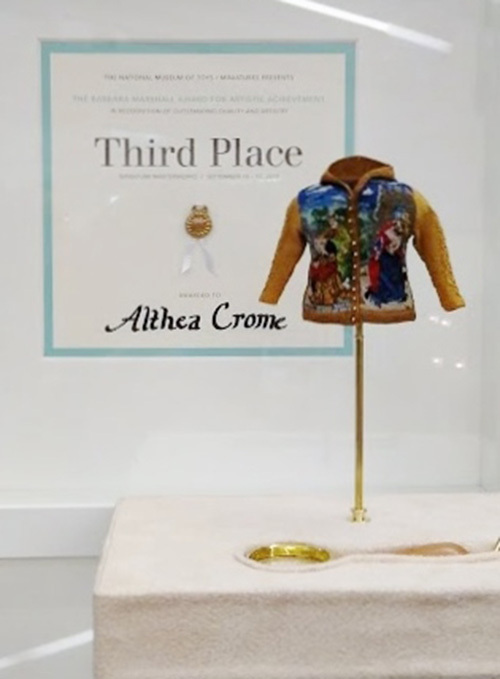 The hope was that the contest would give artists the excuse they needed to make that special piece they had in mind, which certainly happened. 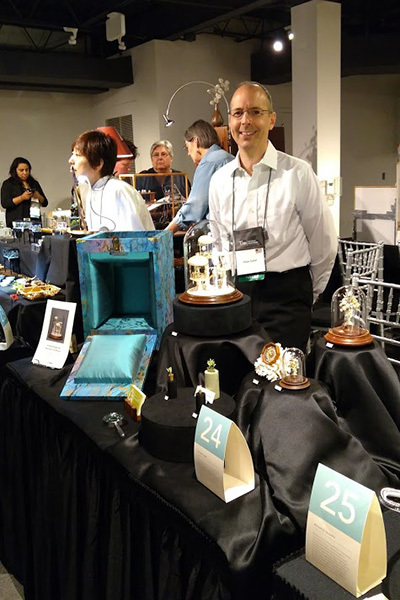 Some sixty-five of the best miniatures artists from around the world, most of whom were IGMA Fellows or Artisans’ participated in the show; over 50 of them entered the competition. 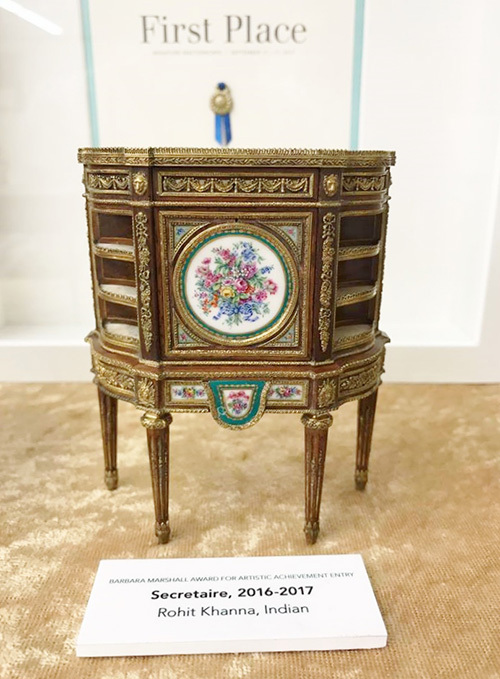 They made some truly exceptional pieces, a great many of which sold during the show. 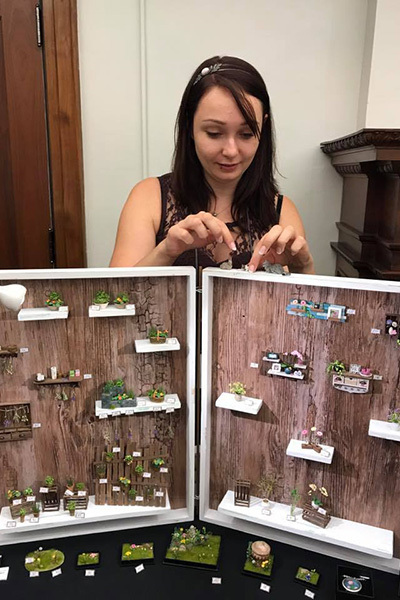 Artists were required to keep their contest entries and a representative sample of their work on display until 3 PM Sunday, which gave all show attendees the chance to see everything. Pictures of some of the many amazing things on display have been posted on the IGMA Community Facebook page. There was a lot of positive feedback from the artists, who appreciated everything that was done to make this an “artist friendly” show. A light breakfast and luncheon were provided for artists in a special break room on both days, and museum volunteers were there to cover tables for those without a helper for meals and breaks. In addition, a professional photographer was on hand to take head shots for any artists who wanted them, at no cost. Artists overall reported good sales; some artists sold out. Gallery talks in the museum by artists on Saturday and Sunday proved very popular and were well attended. The museum also conducted video interviews with a number of artists for their future use. 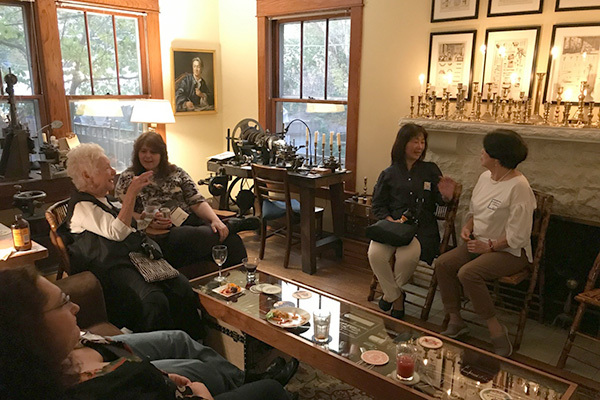 Added highlights of the weekend were the four evening parties at Bill Robertson’s home and studio. 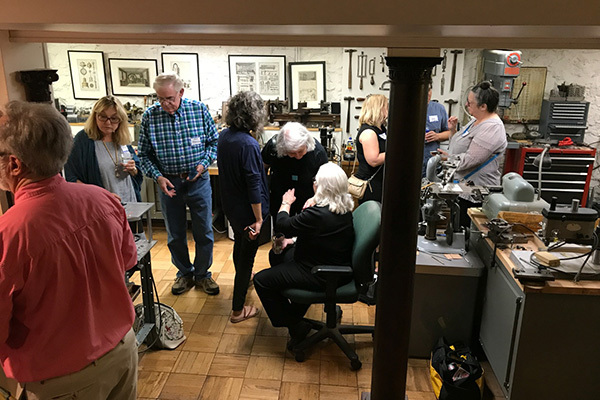 The parties provided a great chance to socialize, and to see Bill’s amazing shop and tool collection. 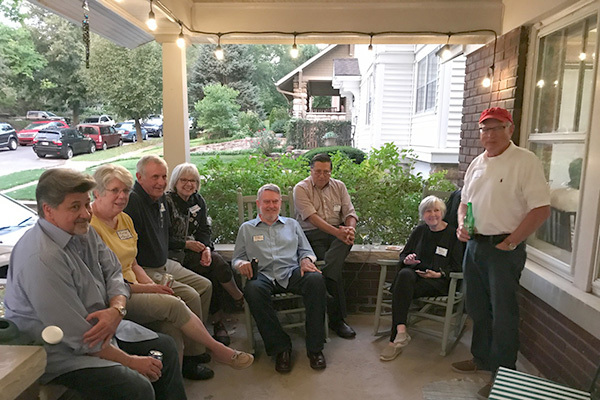 People came early, stayed late, and ate great Kansas City barbecue. 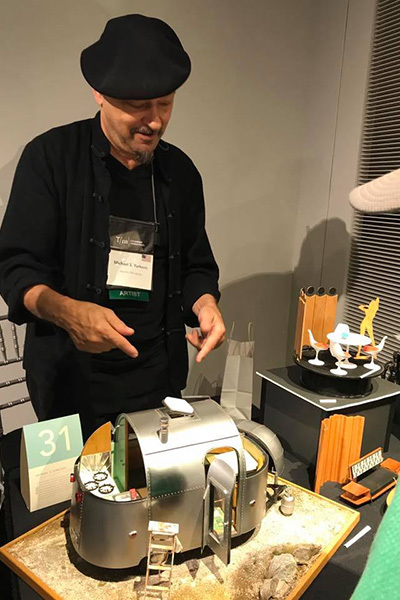 Many artists and collectors thanked us during the weekend for putting on such an exciting show, and expressed the wish that we do another show like this. We have received a number of letters and emails since saying the same thing. 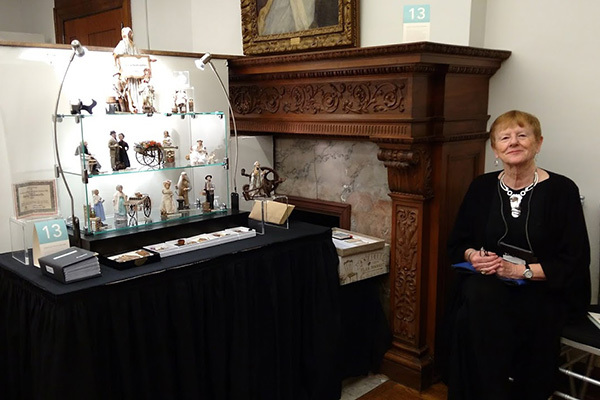 Miniature Masterworks was a real success, and fulfilled its goal of mounting an exciting event that would benefit artists, collectors and the Guild, and would provide a public showcase for fine miniatures as an art form. 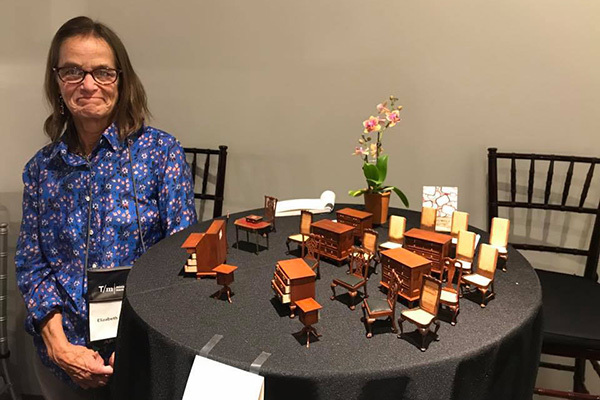 The Guild thanks our partner, the National Museum of Toys and Miniatures, their staff and volunteers, for doing so much to make Miniature Masterworks truly an event to remember. 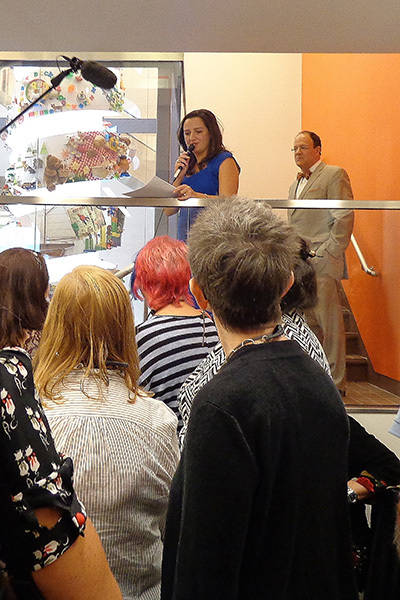 Museum Director Petra Kralickova speaks before the awards announcement. © Copyright 2017 International Guild of Miniature Artisans, Ltd. All rights reserved.